Resin Titanium Piston Series Trophies. Available in 3 sizes, 140mm, 160mm and 185mm high. 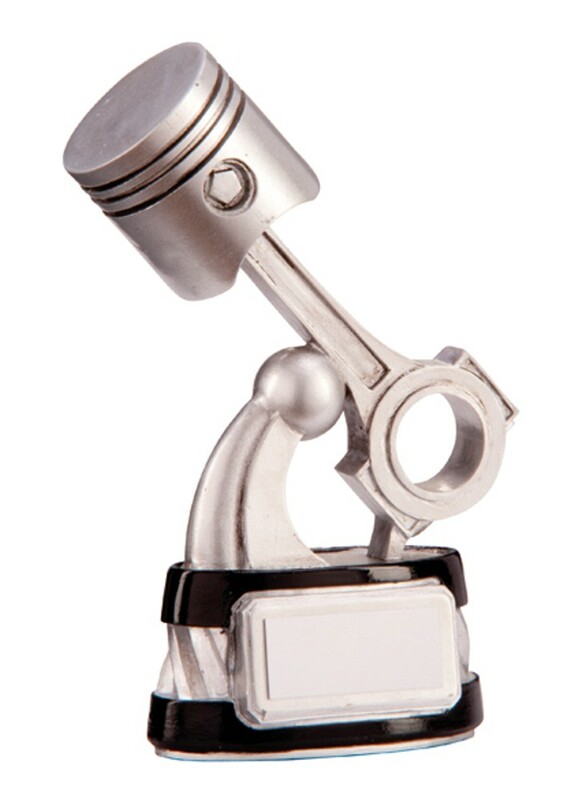 Resin motorsport piston trophy, silver in colour with black detail.